This page has direct links to our major frame, mat and art supppliers. Online catalogs for various art and poster suppliers. Welcome to the Bentley Global Arts Group flagship wholesale publishing website, bringing together eleven distinctive publishing brands, each with a unique publishing perspective and heritage. Our Aaron Ashley brand has roots dating back to the 1930Ã?Â¢? ?s while our newest BG.Studio was launched in January 2013. We like to think of ourselves as a creative technology company. Utilizing the latest digital printing technology allows us to offer over one million individual products on paper and canvas available as print on demand. New releases are a vital part of our publishing business. We offer four seasonal releases that introduce over 1000 new images each year. Canadian Art Prints (CAP) was established in 1964 and is a publisher of open edition posters, limited edition prints, and art cards. Our collection showcases an eclectic mix of incomparable imagery by close to 200 international artists. From home to office, traditional to cutting edge, our unique collection offers something for every taste and application. Virtually every image is available to be re-sized and printed on canvas, fine art paper, or on our in-house poster paper, further expanding your design possibilities. Founded over thirty-five years ago with a passion to discover and publish the finest imagery available, Editions Limited is a leading publisher and distributor of fine art reproductions. Editions Limitedâ? ?s collective energy, vision and commitment have kept the company growing and excelling. Editions Limited is now recognized for both the superior quality of it's published, distributed, and licensed products, and for the highest standards of customer care. Welcome to Penny Lane Publishing, one of America?? ?s premier fine art and licensing companies. We offer an extensive selection of high quality art prints and licensing images from more than 50 artists working in a wide range of styles. Our current print line contains over 2,200 fine art prints, all of which can be seen here on the website. Our Print on Demand and Unpublished Images are also available to be printed with a minimum order of just ten units per image. New artwork is added to the site weekly, so be sure to check back often! Fine Art Posters and Print on Demand (POD) Poems Art Publishing now offers its exclusive imagery for custom printing directly on canvas, aluminum substrate, acrylic panels and fine art paper. Learn our story and see why Topart is one of today's top online art destinations to buy wall art. Wild Apple has two related businesses, art publishing and art licensing. Art publishing refers to reproducing original artwork as prints and posters. Wild Apple sells to framers, who in turn sell finished "ready to hang" framed prints to retail chains, furniture stores, the hospitality industry and others. Wild Apple pays artists a royalty on sales of posters of their artwork, much like a book publisher-author relationship. On the art licensing side, Wild Apple acts as agent for artists to place their imagery with a wide variety of manufacturers, from dinnerware to rugs, wallpaper to paper napkins. Manufacturers pay a royalty on their sales, which is split between the artist and Wild Apple. Winn Devon is a publisher of open edition posters, limited edition prints, and original works of art. Our collection showcases an eclectic mix of incomparable imagery by close to 200 international artists. From home to office, traditional to cutting edge, our unique collection offers something for every taste and application. Winn Devon, combined with our sister company Canadian Art Prints (CAP) is one of the largest art-publishing houses in the world. We are committed to offering exceptional imagery of outstanding quality and design. We have a dedicated international sales force and as a result, our images are sold through galleries, framers, museums, gift boutiques and art retailers throughout the world. Online catalogs of frame suppliers. Since opening our doors for the first time in 1973, Delta Picture Frame Company has worked continuously to provide the picture framing industry with quality moulding as a manufacturer, importer & distributor. As we celebrate 45 years of successful business, we realize that the industry has changed and we are constantly adapting to fulfill our customersâ?? needs. Since 1954 the mission of our family owned business has always been to give our customers the finest service with products at reasonable prices and with our focus on quality. Product Selection consists of over 1,800 designs imported from artisans throughout the world and includes many original designs exclusive to Fotiou. Larson-Juhl has established itself as the first custom framing company to offer certified products. In addition, we are working on a long range sustainability initiative. For over two decades we have been pursuing a passion for beauty and elegant designs in making high quality mouldings. From intricate traditional designs to elegant contemporary styles, from eclectic patterns to rustic finishes, our collections are distinguished for their superior craftsmanship, innovative design and stunning beauty. With distribution facilities and showrooms in Los Angeles and Atlanta, along with field representation and a strong network of regional distributors, Max Moulding has grown to become a national supplier dedicated to high quality products and services for all market segments, and is widely recognized as the design leader in the moulding industry. From its roots as an art and framing store in 1986, Michelangelo has grown into one of North Americaâ? ?s leading distributors of affordable fashion picture frame mouldings. The Galazzo brothers, Denis and Charles, co-owners of the Montreal-based firm, have over 40 years of experience in the picture framing industry. Their hands-on approach and dedication to superior customer value have resulted in a rapidly growing list of satisfied customers in both Canada and the US. Omega Moulding is a National Wholesaler of fine quality Picture Framing products, providing mouldings of outstanding craftsmanship since 1968. Omega maintains state-of-the-art distribution centers throughout North America with locations in New York, Los Angeles, Chicago, Atlanta, and Toronto. Each facility is stocked with the entire line of over 1,500 high quality mouldings, available in Length, Chop, or Joins, as well as a selection of readymade Gallery Frames. 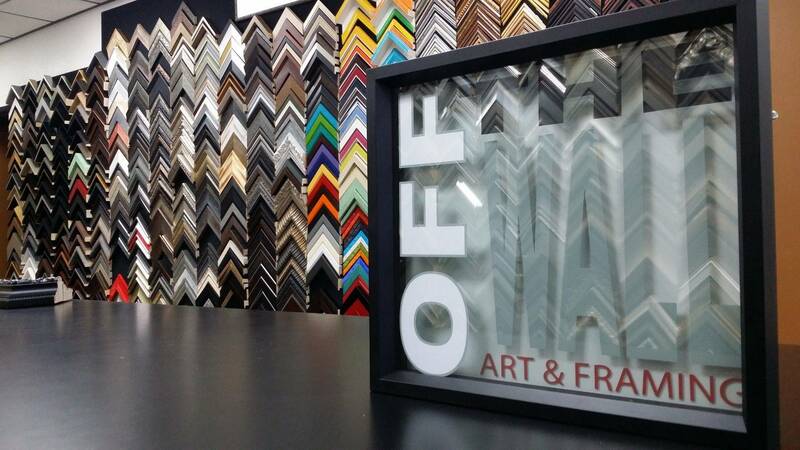 In addition to our mouldings, Omega is also a distributor of quality picture framing supplies, providing customers with a comprehensive selection of framing products to fulfill their business needs. Exquisite frames made in Italy. Our original premise of commitment to Quality and Service has not diminished. Rather, it is with renewed resolve that we embrace these ideals for the future. We appreciate the approval you have demonstrated to Studio Moulding over the years. Designing our own new profiles and finishes is a constant endeavor to bring you the excitement you seek in today's products. We know how important good service is to your business, and providing that service is our responsibility. We trust that you will be pleased with our performance. We are proud of our reputation for quality and service to the framing industry. Enjoy the moulding designs in this catalog, and may they be as exciting for you to work with as they were for us to select, create and present. Since December 2009, Universal Framing Products and Arquati Moulding, a national supplier based in Dallas, Texas, has been under one roof providing the best quality at the best value to their customers. Universal Framing Products was a leading supplier of exclusive quality picture frame moulding in the latest styles at value prices. Arquati Moulding has been recognized as a leader in wood picture frame moulding since 1960, with superior crafted and exquisitely designed mouldings from Italy. The union between the two companies has enhanced the product offering and provides their customer with one very well rounded moulding collection. This acquisition also provides strategic distribution points for the Arquati line on the West Coast located at the company headquarters in Southern California and on the East Coast in New Jersey. With this merger, Universal Arquatiâ? ?s customers continue to receive improved service and a substantial amount of valued product. To view our latest collections, please visit our â? ?new collectionâ?? section on our website. Wall Moulding & Associates is proud to be a leader in the wholesale moulding/framing supply industry, with customers on every corner of the globe. Our team of professional sales/manufacturing associates have decades of experience, and your satisfaction is our number one priority. Cashman ProPhoto Lab offers photographic print services to discerning individuals only accepting the highest quality when it comes to their most precious memories. Whether you are a veteran professional, advanced enthusiast or point-and-shoot novice, let Cashman ProPhoto Lab be your only choice for all your photographic printing needs.